When Gareth Bale signed for Real Madrid in 2013 for a world record fee of £86 million, expectations were high - and so they should have been. The Welshman scored 21 goals in 33 Premier League appearances as a winger in the 2012/13 season for Spurs and was stating his claim as one of the best in the world. Having recently scored his 100th Real Madrid goal and having won four (yes four) Champions League titles with Los Blancos, one would say the Welshman has done quite well for himself. The truth, however, appears differently. Bale has never truly settled into life in the Spanish capital. 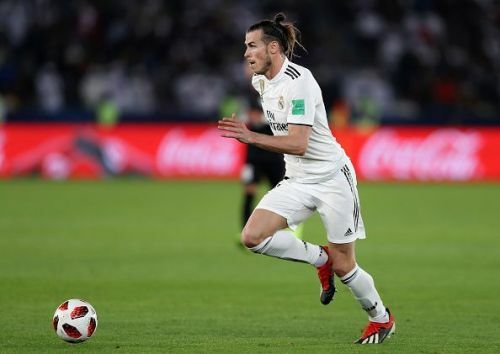 Frequent injuries, falling out of favour with his fans, refusing to learn Spanish and not getting on with his teammates have tarnished Bale's career at Madrid. Goalkeeper Thibaut Courtois has recently accused Bale of failing to adapt to the Spanish way of life after he refused to attend a dinner with his fellow players. Marcelo has also been critical of the Welshman, saying Bale has refused to learn Spanish and that the two only 'communicate with gestures'. What must be said though is that these 'problems' are away from the cameras and are not where it matters - on the pitch. As a footballer, Bale has been and still is phenomenal. He possesses truly unique abilities and has improved on them year on year despite his frequent absences through injury. It's hard to believe that Bale has been in Spain for 6 years now, a period in which he has achieved so much and yet has flown quietly under the radar. It's caused many to forget just how good the 29-year-old really is. Of course, Bale had first captured people's attention back in the 2010-11 season when Tottenham faced Inter Milan in the Champions League. Inter had won the competition the previous year under Jose Mourinho and their squad included legends such as Javier Zanetti, Diego Milito and Wesley Sneijder. Inter also boasted Maicon, the so-called best right-back in the world at the time. Naturally unfazed by the occasion, the 21-year-old Bale took his chance in both games against Internazionale and made the Brazilian look mediocre in comparison. The sheer pace and power of Bale proved too much, along with his lethal finishing and crossing ability. After a hat-trick of goals in the first tie and a hat-trick of assists in the second, it was clear that Bale had something special. After the game, Maicon said: "Bale is phenomenal. He played a great game and he is a great player, a great champion. We have to give great praise to him. We knew what he could do, but he was impossible to control." Bale earned his dream move 3 years later and said in his first press conference for Madrid that he would have moved there 'for a penny'. A boyhood dream was fulfilled but it has not been smooth sailing since then. Throughout his time with the Spanish giants, Bale has endured a great deal of scrutiny from the Madrid fans who are notorious for their tendency to turn on players for no reason. Spanish-born players such as Isco, Lucas Vazquez and Marco Asensio were always preferred by fans and Madrid's managers alike. Of course, playing in the gigantic shadow of Cristiano Ronaldo has never made things easier. In his 6 years with the club, Bale has been out injured on over 20 different occasions, making it close to impossible for him to be a regular starter. Despite this, Bale recently scored his 100th Real Madrid goal which begs the question, where would he be with better luck? We must not forget that Bale has, on occasion, been simply sensational. One simply can't forget that solo goal in the 2014 Copa del Rey final or the incredible bicycle kick against Liverpool in the 2018 Champions League final - a game in which he played 30 minutes and was also awarded the Man of the Match. It may have seemed as though Bale has endured a difficult time in Spain, but the Madrid fans need to start appreciating the time they have left with their Welsh Wizard. Whatever is next for Bale, a move away from Madrid does seem increasingly likely, even if he has been linked with a move away for some time now. Eden Hazard has repeatedly expressed his interest in joining Madrid and Bale making way for the Belgian would make sense for both parties. Time may be running out for the Welshman at Madrid, but his time as a Galactico should not be undervalued.